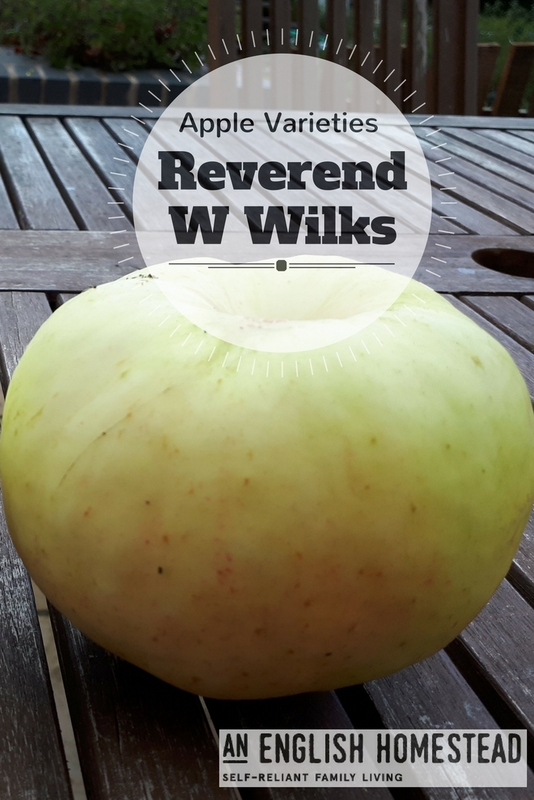 Another great cooking apple I picked last week is the Reverend W Wilks. I think it's possible to fall in love with these old apple varieties for their name before you've even tasted them! This is early to mid season apple - pick the beginning of September. It makes a large cooking apple with a lovely delicate aromatic flavour and cooks to a froth. The tree is spur bearing (so ideal for cordons or espaliers) and stays fairly compact so great for a small garden, I have this tree growing down my row of cordons and it normally produces a few perfect large apples for me each year. It's in pollination group 2 if you are planning on having a few trees. Who else has tried this one? I haven't tried it, but I agree about the names! I'm just re-reading 'Forgotten Fruit' and the apple chapter is full of varieties I want to grow just because they sound intriguing. Sounds an interesting book! I've got quite a few on unusual edibles, it really interests me. I'm doing a talk for a garden club in a couple of week about that subject - any you'd include in there? It is interesting but it's not about unusual edibles but forgotten or old varieties of 'ordinary' fruit and veg, e.g. Pershore Yellow Egg plum is from about 1833 and was found growing wild by a man called George Crook, and Orange Jelly turnip was introduced by George Chivas of Chester in 1853. Black Spanish Round radish probably predates the 16th century. It makes me want to plant all of them! I've got a few books on unusual edibles- Mark Diacano, James Wong and one by Martin Crawford- so I suspect I'm growing the usual unusual edibles (! )- hemerocallis, medlar, wineberry, worcester and josta berries and some perennial vegetables. I want to grow salsify next year and I've got some Chinese artichokes on order. Have you ever tried them? What books would you recommend? Interesting fruit with interesting names, I wonder who the Rev was, and it's great for plant diversity that you are growing them. Some days it's like that, and some days the kids drive me up the wall! They are pretty rosy cheeked with farmers tans though! 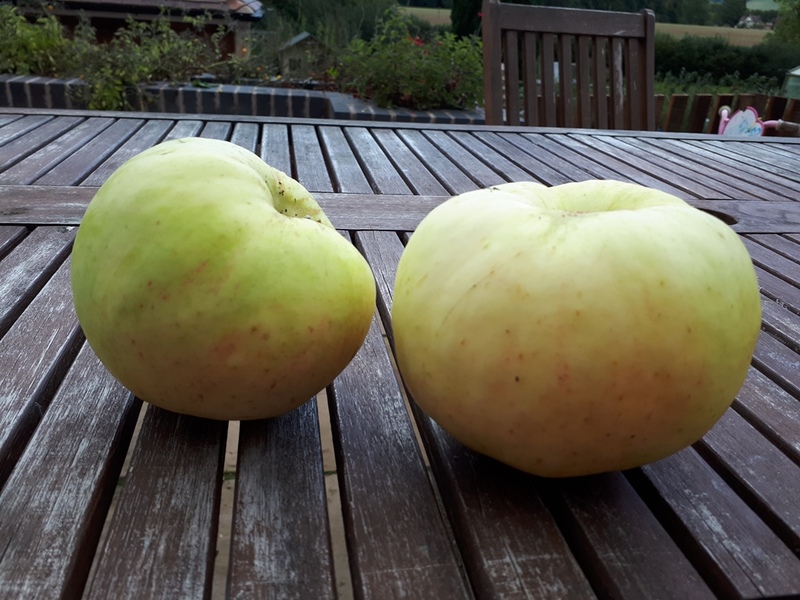 We have the old faithful Bramley. I bought the tree from Woolworths back in the 1980's. I trimmed it to within an inch of its life, hid it in the back of the car, then planted it here in France. It is now huge.